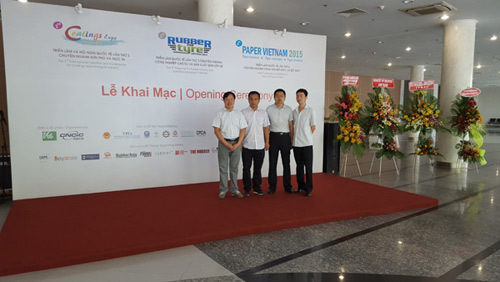 The Vietnam Paper 2016 exhibition will be held from April 26 to 28, 2016. Leizhan paper machinery company, as a China leading factory in pulp and paper industry, was invited to attend the fair. Leizhan welcome you come to our booth P08 to communicate the latest technology and advanced equipment in paper making industry with general manager, Mr. Liu and experienced engineers. Paper pulp making machine and auxiliaries, cardboard making equipment, accessory and instrument, paper processing equipment, dewatering, pressing machine, pump, valve, pipe and new technology paper making machine, energy saving paper manufacturing technology and equipment; Fluting paper, Kraft paper making machine, conveying machine, paper bales breaker machine. Notebook, printing and A4 paper, household paper, toilet paper production machine, etc.